The celebrated London-based, Dutch/U.S. 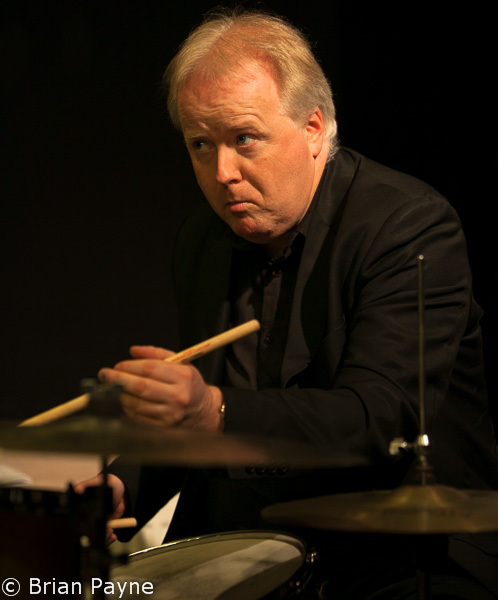 drummer Sebastiaan De Krom has hit upon a completely new intellectual concept in melodic jazz, which is making musicians' heads spin all over town. 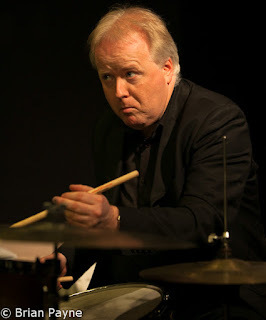 His weekly trio gig at the Troubadour in Kensington, at which Sebastiaan has been reworking the Sonny Rollins trio concept, has become a laboratory for radical ideas and ground-breaking techniques. 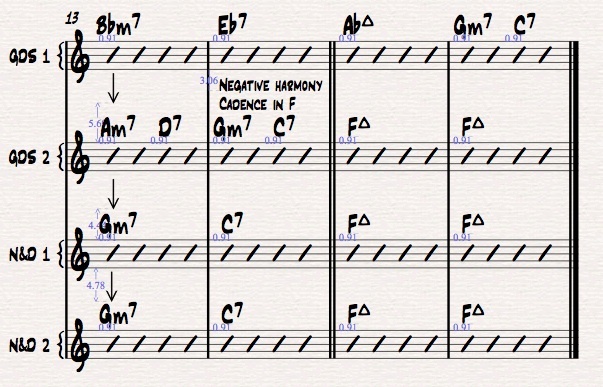 De Krom's trio arrangement of Green Dolphin Street requires that the saxophone and bass player, for extended periods, visualise the chord sequence of the song, and the sequence of Night and Day at the same time! This also takes into account the fact that the lengths of the forms of the tunes are different. At first glance this looks like madness, but when you take the plunge it is incredibly liberating. With a lot of listening the experience is similar to how Charlie Haden must have felt, following Ornette Coleman's harmolodics by ear into unknown territories in the early 1960s. 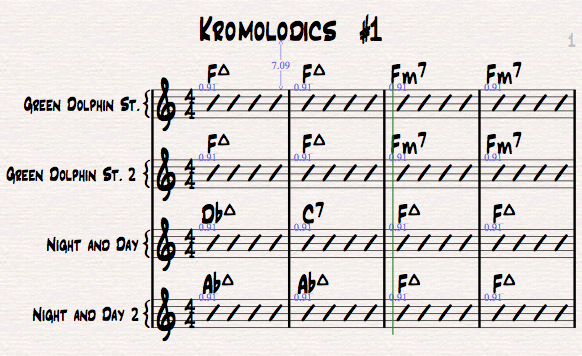 In the 'Kromolodics' arrangement of Green Dolphin vs. Night and Day, there is plenty to work with, There are tonic polarity points every four or eight bars, and contemporary melodic improvisers should have no problem with blurring the lines between major and minor tonality, or using Phrygian modes in place of dominants. 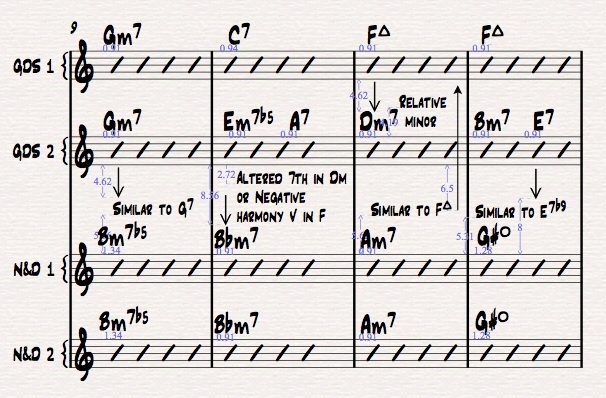 The second half of the bridge of Green Dolphin Street, superimposed a minor third above the tonic II-V-I has a diminished 'four tonics' sound, or even the Negative Harmony, minor plagal feel to it. 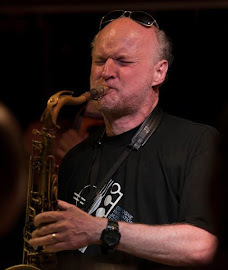 However, the idea for the improvising musician of holding two ideas in the mind at once for such an extended period of time is perhaps the most revolutionary idea De Krom has come up with. At a recent session, by dipping into Jerry Bergonzi's famous Night and Day vs. 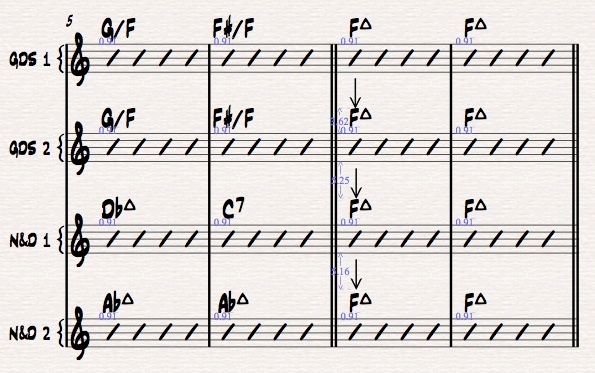 Giant Steps sequence, I was able to keep three plates spinning at once. The bass player present was the superb, open-minded and -eared Oli Hayhurst, with De Krom himself grinning broadly from the drums as the mayhem unfolded.